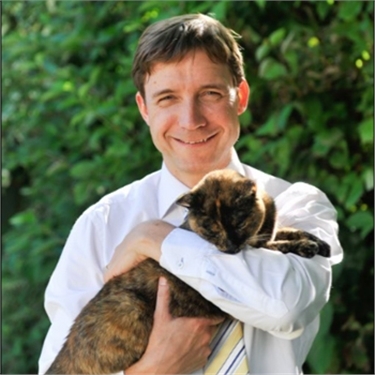 James, who is currently Chief Veterinary Officer at the RSPCA, will take up his role as Chief Executive of Cats Protection in November and will lead the charity to an exciting time in its development. As a qualified vet with degrees in Veterinary Science and Bioethis, as well as a PhD, James is experienced in ensuring the good welfare of all animals. He is also a Royal College of Veterinary Surgeons (RCVS) Registered Specialist in animal welfare, science, ethics and law and a diplomate of the RCVS and the European College of Animal Welfare and Behavioural Medicine. You can watch our interview with James Yeates below.